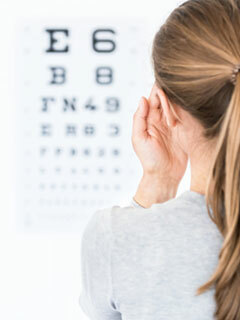 At Eagle Family Vision, our goal is to promote good eye health and enable you to have the clearest vision possible. We accept several types of insurance, both medical and vision, cash, and most credit cards. We inform our patients about exam and treatment costs at the beginning of your appointment. If you require a breakdown of costs, please let us know. To maximize your eligibility and coverage, we work with Aetna, Blue Cross, and United, and most other major medical plans, as well as VSP and other vision plans. Whether you live right here in Mont Belvieu, or are visiting our eye doctor from West Chambers County, Anahuac, Baytown or Dayton, our optometrist team can help you get the most out of your vision insurance. Contact us today to find out more about your eligibility and coverage as well as our vision and medical insurance plan policies. If your insurance is not listed, please contact us to see if we participate in their insurance. If you are in Mont Belvieu, Baytown or Dayton, our VSP approved eye doctor team is just minutes away. We accept various forms of payment, including cash, major credit cards, and debit cards. Call (281) 385-2020 today to schedule your eye exam today.